A disillusioned Indian army officer’s attempt to expose corrupt politicians and bureaucrats at the risk of losing his job. And his boss’s determination to get him back on track before he does damage to his covert unit and those who back his operational capabilities. 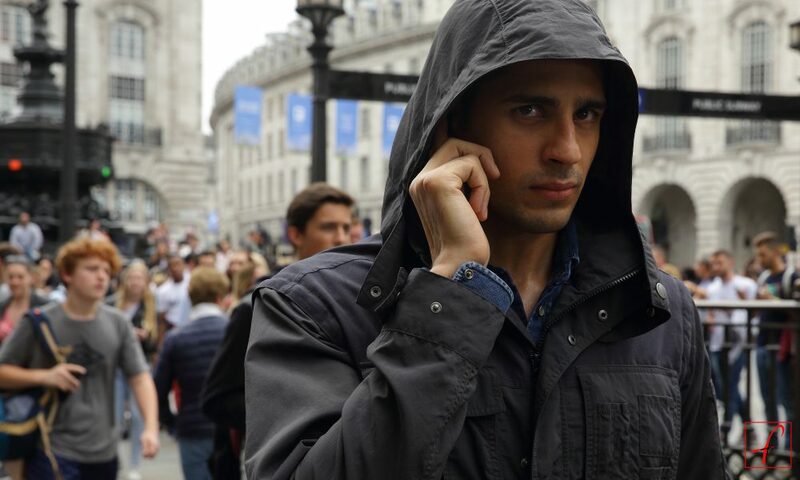 These form the core theme of the Hindi film Aiyaary, which means the act of espionage and was released in Singapore on Chinese New Year day and is running to packed houses at Golden Village and Carnival cinemas. Director Neeraj Pandey, who brought out blockbusters such as A Wednesday, Baby and MS Dhoni: The Untold Story in the past, has cleverly tapped on the public sentiment that prevailed in India a few years ago when there was a hue and cry against politicians, bureaucrats and army top brass ganging up to apportion for themselves and their cronies prized apartments in Mumbai which were meant for widows of martyred Indian army men. There are references to the scandal in the movie and the climax is dictated by the efforts of the apartments’ ousted watchman (Naseeruddin Shah in a cameo) to bring the culprits to book. Throughout the fast-paced action thriller the lead actor Manoj Bajpayee, who essays the role of Colonel Abhay Singh, puts in a commanding performance with his characteristic roughness, fitting well into his script of leading the covert unit and getting into the thick of action when the situation demands. His expressions and physical movements correctly portray the image of an Indian army officer who is a patriot and determined to carry out the orders of his chief, who had placed him in charge of the covert unit while making it clear that the army will not be responsible if its members are exposed. His protégé, Major Ajay Bakshi (played by Siddharth Malhotra), once looked up to him for guidance. But over time had grown to believe that dedicated Indian army officers were getting the crumbs even as politicians, bureaucrats and generals lined their pockets by doing little constructive work or raising the image of the defence forces. Malhotra fits into the role of the “rogue” army officer perfectly. He has the suave look, sensitive eyes and the daring of a youngster who feels it is up to his lot to correct the trend of corruption in India or join the crooks and make money for himself. Though Bakshi challenges the authority of Singh for the major part of the film, he realises at the end that his boss is upright and that is the right path for Indian army officers to follow. Pandey has handled the subject deftly and bravely. Though he was reportedly forced to edit a few scenes, which were objected to by the Censor Board for apparently showing the Indian army in bad light, he manages to capture the subtleties of the plot imaginatively over the 156 minutes of the film. Freedom must be given to him for spicing up the film with James Bond-like scenes, shootings in Cairo and London, cut-throat businessmen ordering killings and a pretty doll (Rakul Preet Singh) cuddling up to Bakshi. The dialogues are sharp. So too is the editing. There is never a dull moment as the movie flits between outdoor and indoor action in Cairo, New Delhi and London. If criticism has to be levelled, it should be over Singh riding roughshod over everything and everybody and arm-twisting people into fulfilling his commands. But then this can happen in India where an officer can duck accountability. The background score is jarring. Sometimes its high intensity blasts into your ears. Rakul too is amateurish in one particular scene where she attempts to stop Singh from shooting Bakshi. She is feeble and her expressions lack conviction as she says “sir… sir… sir” in a half-hearted way. Could have done with better acting in this instance or the scene re-shot. Pandey too could have pepped up the romantic scenes with a catchy song or two and introduced more humour. But again it looks like his focus was on impressing a niche audience rather than a commercial one.